Swing trading strategies are mostly based on technical analysis of stock market charts. One style of swing strategies use technical analysis of classic chart patterns. Trading such chart patterns can be extremely profitable. If you are able to combine described know-how with strong discipline for trade and money management then it is good way to trade the markets. 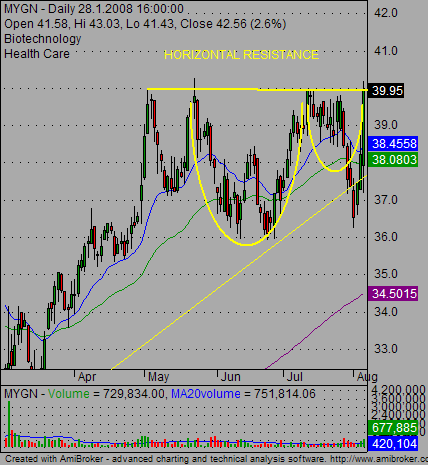 The classic swing strategy is to buy a breakout at this horizontal price level. You as a trader need define the point where you consider a breakout as successful, and it is already “safe” to buy. You can use the technique of fixed value distance from resistance level. 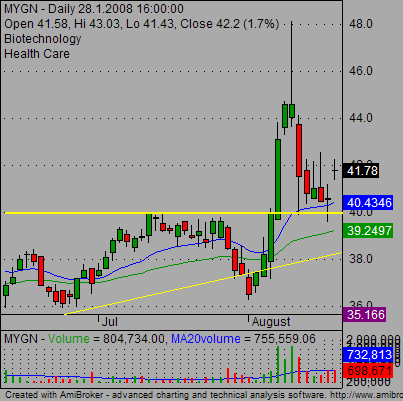 I traded this situation as a breakout with entry near 40.45. The basic rule how to trade a bearish pennant is to sell short immediately after a breakdown of support trendline of this chart pattern. 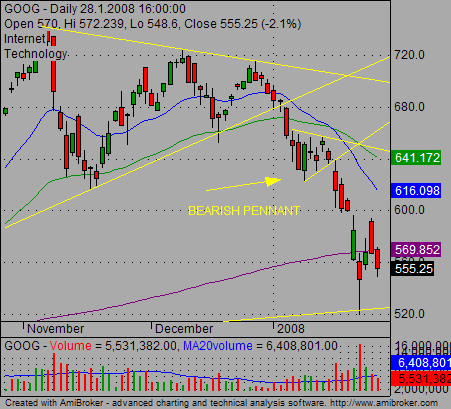 I did a short trade in GOOG based on this bearish pattern with entry near 631.50. 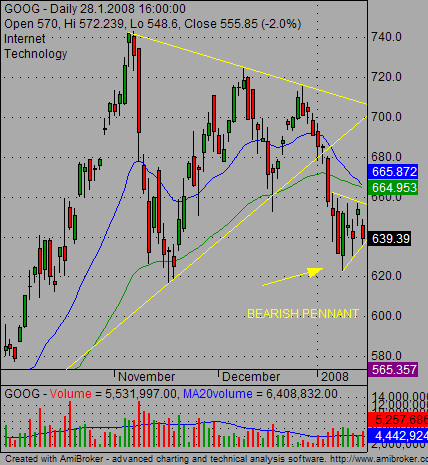 A market is in a downtrend and does not support a long breakout. In such a case you could choose to trade a pullback-type of swing strategies. 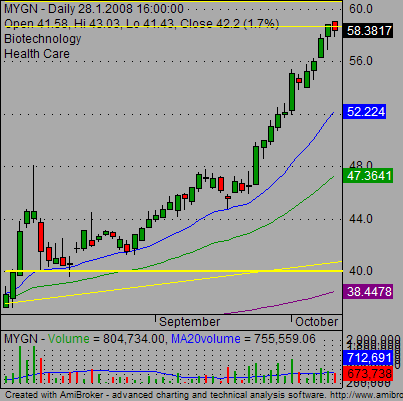 Look at this example of MYGN graph. It was possible to enter a swing trade after the pullback with the $40 USD level acting now as a support. Both strategies brought nice results. (I traded them both as a swing trade and as a position trade.) Here are results of these trades for illustration purposes.